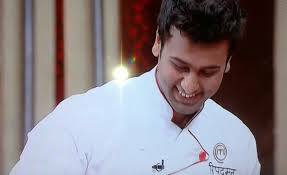 Masterchef India season 3 was started on 11th March 2013 by the famous entertainment channel Star Plus. The winner of this show was Ripu Daman Handa while Navneet Rastogi was the runner up.Doyel Sarangi was the second runner up. Masterchef India becomes the one of the best cooking show in India. Judges of this show were Kunal Kapoor, Sanjeev Kapoor and Vikas Khanna. This show was presented in very good manner. Judges were given different variants of the challenges throughout the show and participants of this show also done the tasks in a very effective manner. Three finalists of this show were Doyel Sarangi (a housewife from Kolkata), Navneet Rastogi ( a caterer from Varansi ) and Ripu Daman Handa ( a Gym Instructor from Delhi). These participants did the great job at the end. The winner of this show was decided by the vote of judges and audiences. Around fifty seven lakhs twenty-one thousands three hundred and ninety two audiences had voted to the participants. The winner of this show got the 1 crore rupees as the prize money. ripdaman got 82% of all votes, that means he alone got more then 45 lakh votes.